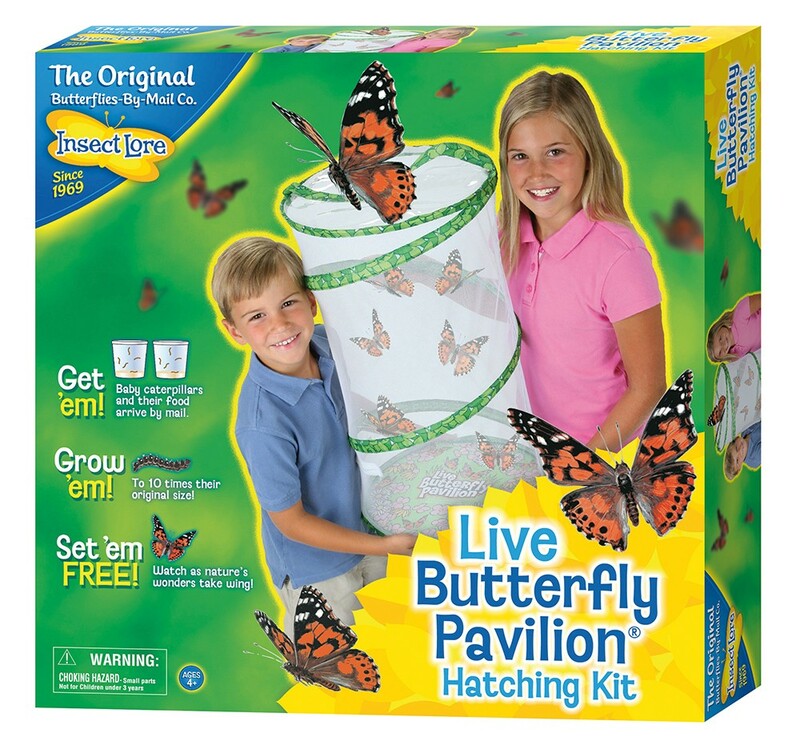 Give every child the Gift of Metamorphosis with the Live Butterfly Pavilion! 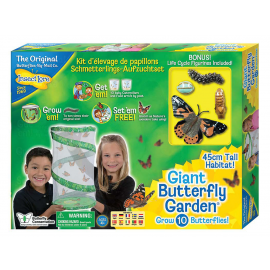 This educational kit offers children the invaluable lessons of metamorphosis, science, patterns, patience, and life cycle studies. 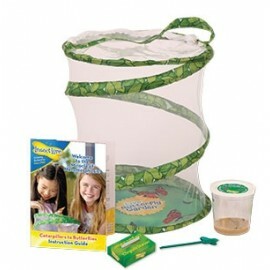 Pop-up, reusable 63cm tall mesh habitat perfect for butterfly viewing in the home or classroom! 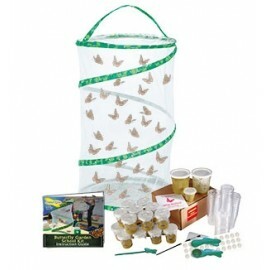 Order with caterpillars or with a Caterpillar Voucher to be redeemed at a later date if buying as a gift. 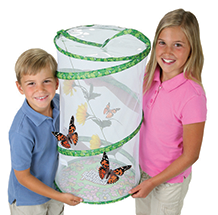 I loved watching them and even recorded it for YouTube it was so awesome!